A "secret recipe" can just mean an index card with grandma's cupcake ingredients (which you only share with some people). Or it can mean vaults and monks. For these food and drink products, it definitely means the latter. We dug up the security stats on famous secret recipes that actually live up to their name, ranging from Bush's baked beans to Chartreuse. Believe us when we say you don't wanna trip the alarm at these company HQs, which are basically more aromatic Fort Knoxes. At first glance, KFC's attempts to protect the Colonel's famed chicken recipe under wraps are laughable. The thing is hand-written in pencil on old paper. You don't need a decoder ring or even a blacklight to read it! But to get to that paper, you need to bypass an electronic safe (encapsulated in concrete) in KFC's Louisville headquarters. It was just upgraded in 2009, and includes motion detectors and cameras, which guards monitor around the clock. 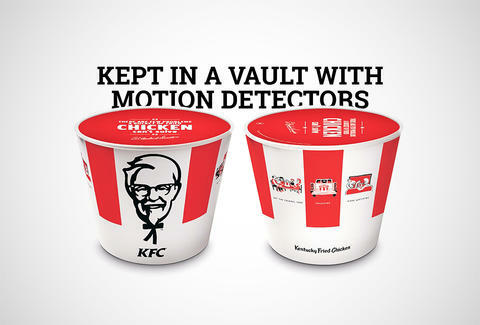 Only two execs have access to the recipe, and of course KFC won't disclose their names or titles. If that all wasn't enough, KFC employs multiple suppliers to make the food for its restaurants -- each place only gets a piece of the recipe, so there's no chance of someone figuring out the secret. Not even Tom Cruise on a cable. Before you ask, no, the secret ingredient isn't cocaine. 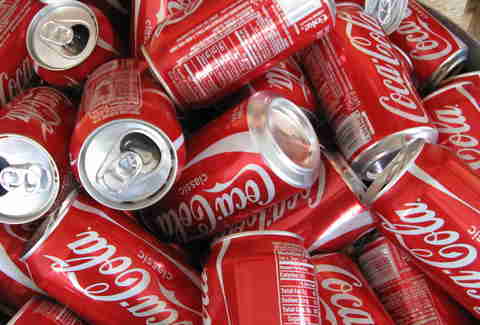 But we can't tell you what exactly is in a can of Coke, because the ubiquitous soda has done a damn good job making mystery part of its marketing. The recipe currently sits in a vault in the World of Coca-Cola museum in Atlanta which includes features both gimmicky (fake smoke!) and legit (palm scanner!). Only two unnamed execs know it, and they're supposedly not allowed to fly on any planes together. That said, many people have claimed to uncover the cola recipe over the years. NPR published one from an old newspaper in 2011, and Mark Pendergrast printed one in his 2000 book For God, Country & Coca-Cola. Coke has of course denied that any of them are the real deal, but the cracks could be showing. In case you haven't yet heard it from that talking golden retriever Duke, Bush's prides itself on its secret family recipe. Much like the Colonel, the Bushes scatter pieces of the recipe to multiple suppliers and, just to taunt the public, they have a replica recipe book that's missing the actual recipe at their Chestnut Hill visitor center. Those are some decent moves, but Duke's bound to blab to the wrong dog one of these days. Because it's over four centuries old, the history of Chartreuse can get a bit muddled, but most people agree that the Carthusian brotherhood acquired the manuscript which would inspire Chartreuse in 1605. The so-called "Elixir of Long Life" was perfected in 1737, and has stayed with the monks all these years. Traditionally, only two monks know the recipe at any given time and if you've met even one monk, you know those guys aren't saying jack. 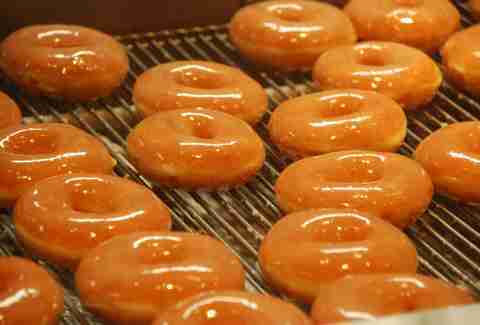 Krispy Kreme keeps its original donut recipe locked in a safe at the main Winston-Salem plant, and only a "very limited number of employees have access." (We know that part, because it was included in a 2010 lawsuit the company brought against the operators of its own NYC store.) The dry mix used to make the treats is only produced at the main plant and then sent to stores, so this recipe is fragmented as well. But there's no laser grid component, as we dearly hoped. The Texas soda company has managed to keep its 23 flavors hidden since 1885, so it's not taking any chances. The recipe is locked away in a vault in the Plano headquarters and only three people in the world even know it (Dave Thomas is one of them). The Dr Pepper brass has confirmed, despite years of Internet claims, that prune juice isn't included in the recipe, but that's all we may ever get. Campari openly brags about how little people know of its recipe on its website -- "Oh you think there are 20 ingredients? That's cute, this guy thinks there are 80." The company's admitted there's water, alcohol, and sugar involved, but not much else. The only man who knows the booze's secret herbs is the factory director in Sesto San Giovanni, Italy and some of the ingredients are shipped directly to his office in plain brown wrappers to ensure maximum secrecy. While bigwigs insist there's a way to transmit the recipe in case he's out of commission (because a competitor iced him for information), they of course refuse to say what it is. Kristin Hunt is a staff writer at Thrillist, and is currently training with Navy SEALs/Nicolas Cage so she can steal all these recipes. Follow her at @kristin_hunt.